Years ago I played on a professional Blackjack card counting team that won $4,000,000 from casinos. My wife Heather and I played as professional card counters for about 3-years, and at one point a casino security manager told a member on our team to “tell the Goodmansons not to come here because they are the most wanted card counters in Vegas”. True enough, the next time I visited Vegas I sat down at the MGM Grand and without sharing any information someone tapped on my shoulder as the first hand was being dealt and said “Mr. Goodmanson you aren’t allowed to play Blackjack here.” After a quick negotiation I told them I’d comply but wanted dinner on the house which they agreed to. In those years we bet hundreds-of-thousands of dollars and were treated like royalty. 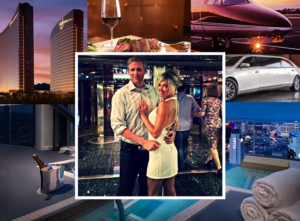 We got the “RFBL” treatment, which meant the casino would pay to fly us out to Vegas, give us a free suite (Room), Food and Beverage from any of their restaurants and a Limo to pick us up at the airport and on call to take us anywhere we wanted to go. (Picture of my wife and I living the comped life.) In this time we played next to multi-millionaires and celebrities like Will Ferrell (I did several times), Drew Barrymore and one of our team trained Ben Affleck on his card counting which made the news. It was an amazing experience that became the basis for an award-winning documentary movie and one of the team managers, Colin Jones, is now writing a book tentatively titled, “The 21st Century Card Counter: Beating Today’s Blackjack for Tomorrow’s Profits” due to be published March 2019 by Huntington Press. Unfortunately, our royal treatment only lasted until casinos figured out we were card counters, which led to every casino in Las Vegas and Southern California “backing us off” from playing Blackjack (and some threatened to trespass us if we ever stepped foot on their property again). They often called us “Advantage Players” since we knew how to tip the odds in our favor, and casinos don’t like giving away their advantage. In this process I learned a lot about myself, but three things became clear about the experience that apply to any entrepreneurial endeavor. People are always amazed when they hear that I was a card counter. The questions I am asked most often is if card counting is hard to learn. The reality is that learning card counting is easy if you can add and subtract. The harder part is managing the stress, anxiety or pressure playing in a live casino environment. Several people wanted to play on our team and they could play perfect Blackjack, but when it came to ‘test out’ by playing in a live casino environment, the pressure got to them and they made mistakes. One player tested out but quit because the stress was too hard for them. In both this situation and as entrepreneurs too often that feeling that you “don’t belong” in the casino or as a founder is what leads to failure. 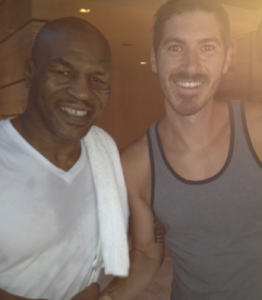 As Mike Tyson famously said, “everyone has a plan until they get punched in the mouth.” (Picture is of Colin Jones a team manager and Mike Tyson in Vegas) Intense pressure reveals a person’s true motivations, fears and values. To achieve anything worthwhile you will be tested. Regardless if you want to found a company, get VC money, or be promoted to an executive level, you will have to face your imposter syndrome. Only then can you get to a place where you are “All In” without a Plan B. Rarely have I seen people succeed if they are hedging their bet on what they want to go after. The vision has to be bigger than the fear. For this, become crystal clear on your “why” to overcome the insecurities you have by embracing a purpose you’ve committed to. The team lasted as long as it did (and had as much success as it had) because we enjoyed each other. Relationships, family and culture formed a bond and trust that was incredible. We did Bankroll dinners (when we hit certain returns we closed a bankroll where investors in the team could roll their investment forward or pull money out), team meetings, trips to Vegas, fun awards and more. Late into the team’s history one of the visionary founders lost his excitement and that impacted the culture. At the time no one had the leadership capacity to replicate that. The culture started to slide which led to a loss in trust. This crack was the beginning of the end, because trust was paramount for the team. You had to be one degree of separation through a strong relationship to get on the team. And even after this, there was a screening process. 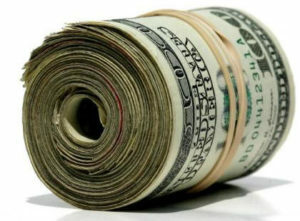 Once you were on the team, people often had $100,000 or more in cash with no questions asked. Your play was self-reported with no way to check and if you had a bad run and lost $40,000 in 40-minutes (like I did one time) we trusted each other. I recall one player had a 10-Strap ($10,000 in $100’s) fall on the ground leaving a casino and turned himself in. No one would have ever known, but our commitment to the team and trust was at that level. But when culture eroded, trust slid and within months most of the people quit and stopped investing. The team’s run effectively ended when the culture changed. It’s amazing how many people tell me stories of the time they won big at Blackjack and their betting strategy was based on “feeling it”. 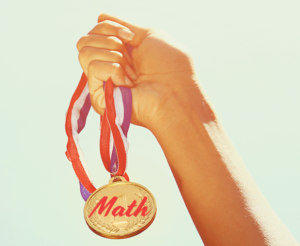 The reality is math wins and eventually every player will lose if they don’t know the math. It’s a ‘gamble’ but the one time you went to Vegas and won $2,000 may be a great story, but over time if you continue to play, you will lose your money. Have you seen the huge casinos in Las Vegas? They don’t look like that because they lose money. You have about a 40-something percentage chance to win based on the decks and game rules, but casinos always have the math on their side. One thing I learned is to separate variance from “EV,” or the expected value of my decisions. As a blackjack player, you have both winning days and losing days. When you’re winning, it’s easy to think you’re a blackjack wizard, when you could have just gotten lucky. When you lose, you can beat yourself up when it could have simply been variance. A card counter needs to learn to play perfectly and not worry about short-term results. One of the team founders would say, “if you win $100,000 but make mistakes, we won’t be happy. If you lose $100,000 and play perfectly, we’ll be happy.” Over time if you play enough hands as a card counter, you have an expected value of what money you will win. Similarly I’m amazed at how many entrepreneurs and business owners don’t take the time to understand the math (eg. LTV, CAC, Margins) and this often results in either failure or missing an opportunity to build a highly valuable company. Instead of understanding the economic engine, knowing how to move the profit needle, I see business leaders betting their company based on how they feel. Without understanding the math, you truly are gambling. Should you build a new product? What customers should you target? How should you price or charge based on different revenue models. The math matters. With this as part of the decision making process the project may fail, but it was still a good calculated risk, get over it and keep moving. On the flip side there are businesses that are going to implode given enough time, because the CEO isn’t aware of the math. This last point became especially clear to me after I sold my company and joined a group that consolidated our market, where we bought 40 companies. In that process my mind was blown by how little we entrepreneurs understand things that drive valuation, post-acquisition economics and how to capitalize on this. The math drives the acquisition but most entrepreneurs don’t know the equations and variables that translate into millions of dollars of impact. 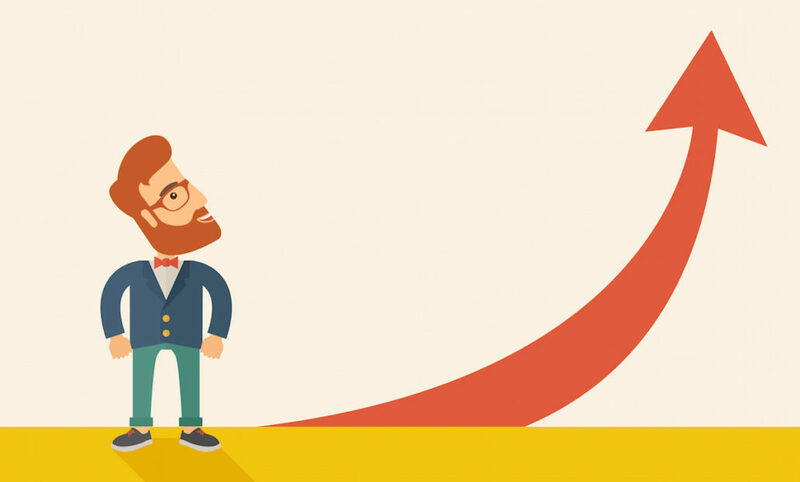 Currently I apply these learnings when I work with entrepreneurs as they look to rapidly grow and particularly when they want to sell their company. Selling your company is one of the most intense processes I’ve ever experienced from every level. (hear an interview based on my experience selling a company I founded) It challenges your identity (for many it is an existential crisis. “if I sell the company I built, who am I.”) It requires a strong culture and enormous trust because the stakes are so high (In a survey I conducted for Exits & Acquisitions the company’s culture post-selling was the highest area they felt would be negatively impacted which often has huge implications) and lastly the math always wins but most entrepreneurs don’t realize the equations so they end up leaving millions on the table when they sell their company. This is nice Drew, but ALL I WANT IS TO LEARN HOW TO CARD COUNT! 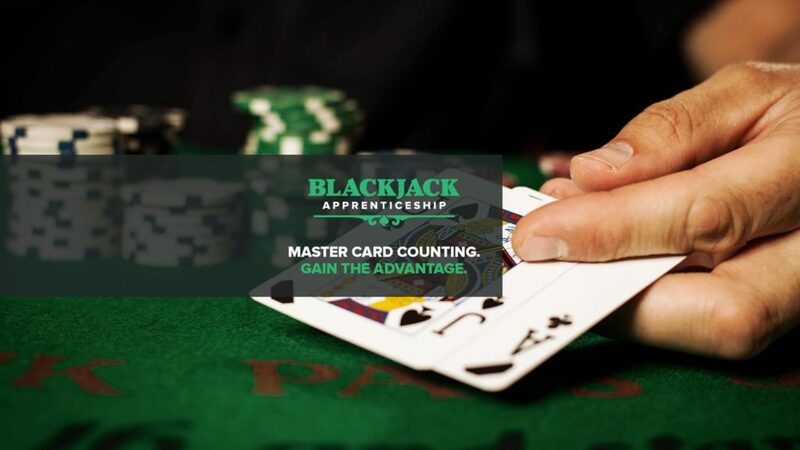 I get it, so thanks for reading, but for those who’d like to learn about card counting, here is a Free Card Counting Mini-Course Courtesy of Blackjack Apprenticeship from my friend Colin Jones. Some Final Thoughts on Card Counting: No, Card Counting is NOT illegal, amazed at how many people think it is. The Supreme Court ruled a long time ago you are allowed to use your brain when you play. No, card counting is not gambling. When you learn the math, it actually removes a lot of the rush people experience while gambling. It becomes a math equation, which has helped people who were addicted to gambling overcome their addiction.